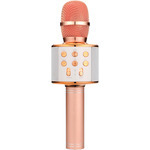 A party microphone for karaoke kings and queens. 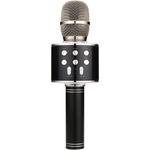 Showcase your talents wherever you go with this stunning all-in-one singing machine. Insert a USB stick or MicroSD card, loaded with your top MP3s; connect a Bluetooth smartphone, tablet or laptop; or tune in to your favourite FM radio station� then simply sing along! The switchable harmony and echo effects will amaze your friends, and theres volume galore thanks to the inbuilt 5W amp and speaker. Want to perfect your performance in private? Plug a pair of stereo headphones into the 3.5mm output jack and practice to your hearts content! 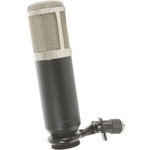 Studio ribbon microphone for recording vocals or instruments. 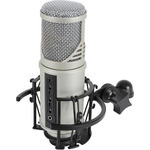 The ribbon element operates without a plate charge or onboard preamp and so does not require phantom power. 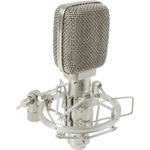 Recordings are smooth, free from circuit noise and distortion with a wide frequency range close to that of condenser microphones. 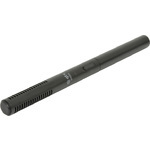 The bi-directional polar pattern can be used to combine direct and reflected sound to produce a more natural response.